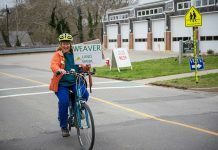 An upsetting loss against Dover-Sherborn brings the season to an end. 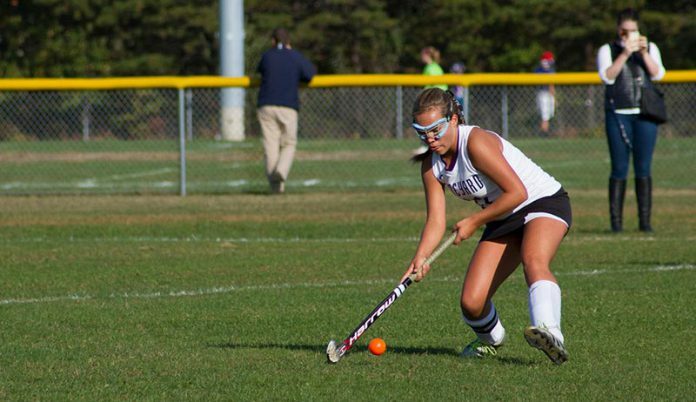 A heartbreaking loss knocked Vineyard field hockey out of tournament play on Thursday. The game ended with a final score of 2-0 against Dover-Sherborn. Martha’s Vineyard came into the game as the underdogs, seeded 11th against Dover-Sherborn, which was in 6th place. The first half went back and forth down the field as each team pushed themselves to get an edge over the other. Then, in the last thirty seconds of the first half, there was a sickening thud: the ball against the backboard; the Raiders cheered. A Dover-Sherborn player had driven the ball from the 30-yard line and her teammate tipped it off in the circle in front of the net. “It was like the ball came out of nowhere,” Ms. Knight said. 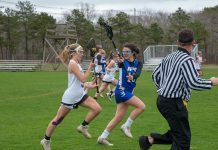 The Vineyard had trouble recovering their earlier momentum in the second half and another Dover-Sherborn goal followed the first.